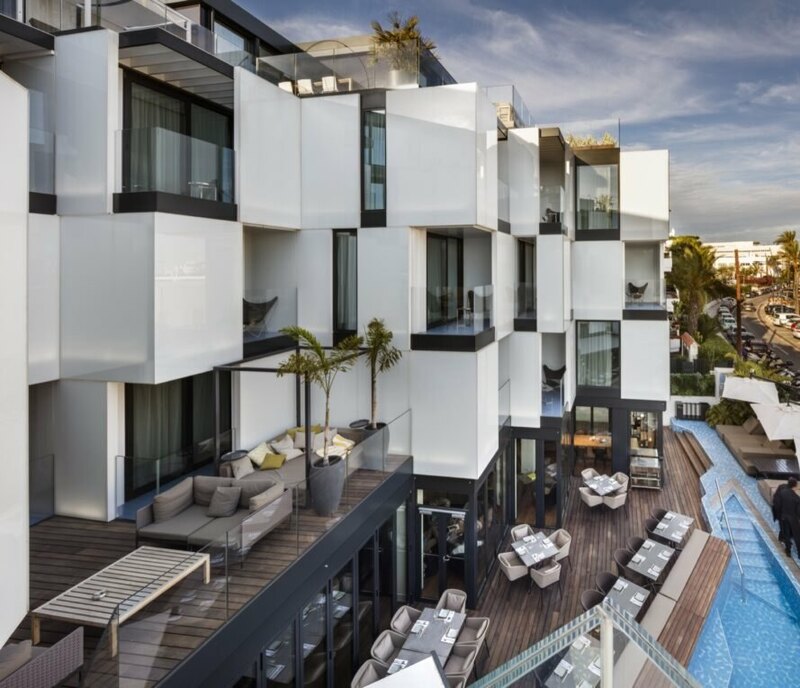 Barcelona-based studio Ribas & Ribas Architects has transformed an old apartment building into Hotel Sir Joan Ibiza, a contemporary and chic boutique hotel designed with sustainability in mind. 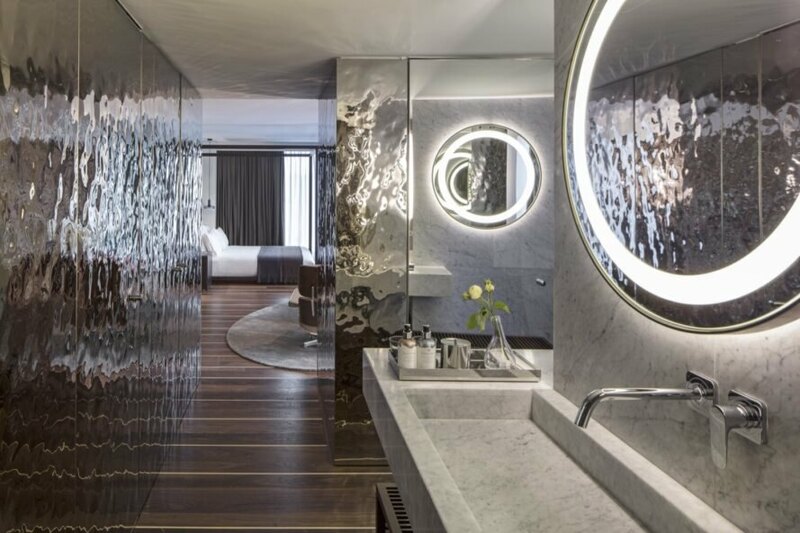 Located in the heart of the Spanish island of Ibiza, the building has been restyled to include 38 rooms and suites dressed to reflect the island’s nautical elements, from stripped wood yacht floors to porthole-inspired vanity mirrors. Its eye-catching, checkerboard-like facade features openings that take advantage of natural light and ventilation, while greenery can be enjoyed in abundance from ground-level green screens to rooftop gardens. 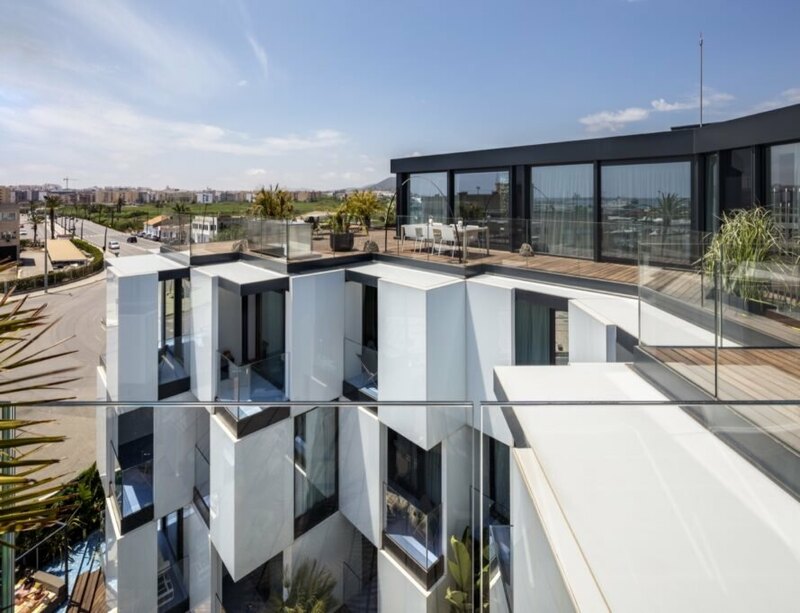 In refurbishing the old apartments into a high-end hotel, Ribas & Ribas Architects wanted to refresh the image of the building with a minimalist white and glazed facade that evokes contemporary Ibizan architecture. 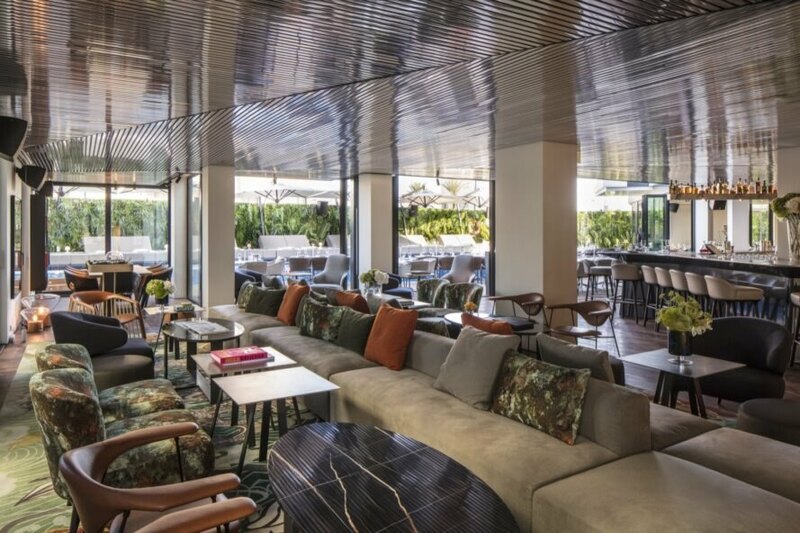 Tel Aviv-based Baranowitz + Kronenberg designed the hotel’s interiors with luxurious fittings that pay homage to Ibiza’s yachting heritage and upscale club culture, from the highly polished stainless steel wall panels that emulate sunlit waves to the Carrara marble and wood details found in every bathroom. In addition to 38 rooms and suites, the hotel also includes two penthouses with views of Ibiza’s port and Old Town. On the ground floor, guests also enjoy access to a pool, cabanas and two restaurants. 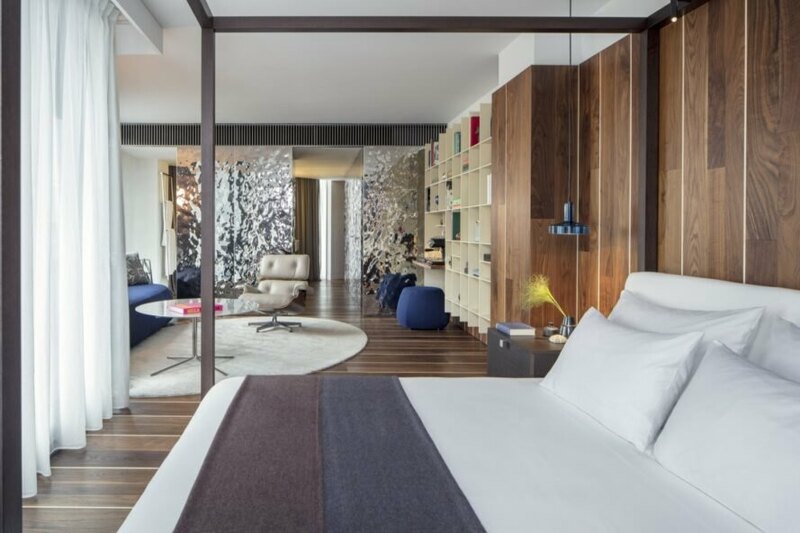 Ribas & Ribas Architects turned a former apartment complex into a chic hotel in Ibiza. The architects used a white and glazed facade to evoke a checkerboard pattern. This minimalist exterior is quite eye-catching. The team also incorporated a living green wall. The interiors are luxuriously dressed by designers of Baranowitz + Kronenberg. The interior design pays homage to the area's yachting and upscale clubs. Carrara marble and wood detailing can be found throughout. There is also plenty of attractive storage. The hotel features two restaurants. Guests can enjoy fine dining at the hotel. An outdoor pool welcomes guests to enjoy the beautiful climate. A rooftop deck allows guests to take in views of Ibiza.